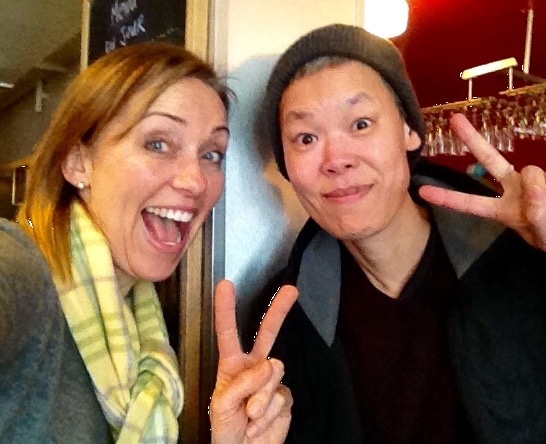 I just met a new friend, Kimura Byol, who will help me to make the video for the crowd funding project! She’s an incredible artist and she’s proactive in any kind of way. We found out that we love black and white pictures and short movies with a strong message. We talked about her ancestors and my ancestors and we found out that we had many things in common. All of a sudden, things fell automatically in place, and now I can’t wait to see her ideas and vision for the video! I’m working on the questions that I want to ask the patients, the musicians and the founder of the foundation. The concept of the video will be an interview with music written by Don Thompson and played by Trio Désirée.